Vibratory, vacuum, pneumatic, indexing, incline, tubular — when it comes to product transfer, belt conveyors are merely the starting point of available options for moving foodstuffs through production. Regardless of the type of conveyance, a power source is necessary, and that can be a point of vulnerability in terms of hygiene, traction or product integrity. Belt conveyors are most closely associated with product movement, and food companies have two basic options for driving those conveyors: gear motors or drum motors. Both have their strengths and vulnerabilities, and engineers and plant operations professionals tend to be passionate about the one they favor. A rarity in food processing a decade ago, drum motors increasingly are the power source of choice for conveyors. Photo: Van der Graaf Inc. Drum motors are a rarity once food is safely tucked away in its primary package, but they are becoming the drive technology of choice in the processing zone and raw-materials handling areas. Hygienic considerations are driving the shift from gear motors, though not all manufacturers consider drums a food safety cure-all. Besides moving parts, lubricant is inside the drum, and that is a concern. “It’s not if the oil is going to leak, it’s when,” says Paul Kuharevicz, engineering manager for Dynamic Conveyor Corp. (www.dynamicconveyor.com), Muskegon, Mich. It should be food-grade oil, and improvements to radial shaft seals restrict initial leakage to a miniscule drip. Maintenance personnel have a chance to react before serious failure occurs. Nonetheless, the potential contamination and the product destruction that might be required make drum motors anathema to some food professionals. Another limiting factor is power takeoff. While drum motors measuring 15 ft. in diameter can be found in industrial applications like mining, food-grade stainless drums deliver limited torque. Power levels typically top out at 1 hp, inadequate for carrying heavy loads over extended distances. Bundling all the drive components in a single unit has an inherent drawback: If the shaft is damaged, the entire assembly has to be replaced, points out Kuharevicz. That said, drum motors offer clear advantages, above and beyond hygienic design. In a study conducted by academics at the University of Parma (Italy) and commissioned by Interroll Corp., ease of installation and maintenance, ability to fit into restricted spaces and superior energy efficiency were among drums’ advantages over gear motors, though not necessarily in all applications. Other than possible lubricant contamination, drums clearly provided superior sanitary design, the authors concluded. Drainability, the ability to clean in place, reduced likelihood of cross-contamination and reduced soil accumulation were among the evaluation criteria where drums excelled. The researchers rated gear motors quieter in some applications, although that may reflect the type of drums they evaluated. Steven Olszanowski, product engineer-drum motors at Interroll Corp.’s Wilmington, N.C., facility (www.interroll.us), says the latest version of Interroll’s synchronous drum motor utilizes a servo, accommodating fast acceleration without overheating. Additionally, a leak detector in the shaft provides an alert before there is a seal failure. Dynamic Conveyor recently standardized on Van der Graaf units for drum motors, although food clients also can specify gear drives. Interroll builds both gear and drum motors, though it is emphasizing the latter in food industry discussions. “Food processors want drum motors’ seamless design, with no cracks and grooves between the sprockets,” according to Justin Caris, Dynamic Conveyors’ senior sanitary design engineer. “Gear motors are hard to clean and require a lot of disassembly. “The Food Safety Modernization Act is pushing more companies to pay the up-charge for a drum,” he adds. Processors of dairy and ready-to-eat products are most likely to standardize on those motors, though companies sensitive about brand protection also are trending toward them. Protecting product from the surrounding environment is another concern. When Malt-O-Meal commissioned its Asheboro, N.C., cereal plant, it went to the extraordinary length of specifying stainless-steel canopies over belt conveyors that carried product through processing areas. Pneumatic conveyors provide even better environmental protection by completely enclosing the product. The downside is the potential damage that can occur: Dense-phase vacuum conveyors pull particles 4,000-6,000 feet a minute, points out Nick Hayes, president of Volkmann Inc. (www.volkmannusa.com), Bristol, Pa. That sounds innocuous, but it’s roughly equivalent to 60 mph. When the particles reach a bend, the impact is considerable. If appearance isn’t an issue, particle damage isn’t a concern. Unfortunately, people eat with their eyes, and candy-coated chocolate, freeze-dried coffee and other human consumables won’t pass quality checks if there are cracks or shattered particles. Modulating particle speed isn’t an option — “with vacuum conveying, you only have one atmosphere to convey the product,” Hayes observes — leaving the feed pressure the best opportunity to minimize damage. Positive displacement pumps are fine for flour and other raw materials, but for goods at or near their finished state, Volkmann relies on a multijector pump outfitted with a series of venture that produce pressure that is close to a full vacuum. In addition to pump selection, engineers of pneumatic systems incorporate filters and assorted “energy absorbing techniques” to minimize product damage. But striking a balance between velocity and gentle handling is an ongoing challenge, he says. “You never really know if any one product can be conveyed until you test it. “I get powders I’ve never seen before every day, and I’ve worked with this technology since 1973,” Hayes continues. Size, shape, moisture content and other variables affect performance, which is why food manufacturers are advised to submit materials for testing in a lab before installing a system. “If you don’t test it, you’re just playing Russian roulette,” he emphasizes. Spiral conveyors are used in multiple segments of food production, from bakery coolers to poultry freezers. They rely on friction between the rotating drum in the core and the belt to maintain tension and drive the conveyor through the spiral. “You’re at the mercy of friction,” notes Achraf Elhassouni, global product manager-spiral platform at Intralox LLC USA (www.intralox.com), New Orleans, “and friction is a huge variable that you can’t control.” Variations in load, oil build-up and other factors cause belt slippage, and that leads to performance issues. To take friction out of the equation, Intralox designed a spiral with teeth along the inside edge of the belt. Those teeth engage with sprockets on the drum, resulting in consistent belt tension, regardless of the load. Intralox has retrofitted 300 friction drives to mechanical drives since introducing the concept five years ago, Elhassouni estimates. 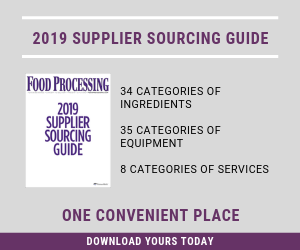 Potato processors are particularly receptive to the frictionless belt, in part because of the build-up of non-transfat oils that occurs when French fries and other value-added potato products move through a spiral freezer. The oil coagulates and “sticks like glue,” he says, forcing processors to take the spiral off line and apply hot water and mechanical scrubbing to dissolve the build-up. With potato processors targeting three weeks of continuous production, unscheduled downtime for cleaning is becoming intolerable. Similar issues plague most processors who use spirals as blast freezers. In that case, oil, sugar and other ingredients that coat the product get sprayed onto virtually all moving parts. Intralox named its system DirectDrive. The first installation was at Canada Bread’s Trillium bakery in Hamilton, Ontario. Belt vibration was enough to cause buns to slide and cluster, which became an alignment headache after the buns exited the spiral and were conveyed toward slicers and packaging. Positive belt engagement resolved the issue. Given the variety of options to convey, no single drive option can serve all applications. The issues are as various as the types of conveyors, from reliability and throughput to cleanability and hygienic design. The only constant is the need for new solutions to the problems that inevitably arise.